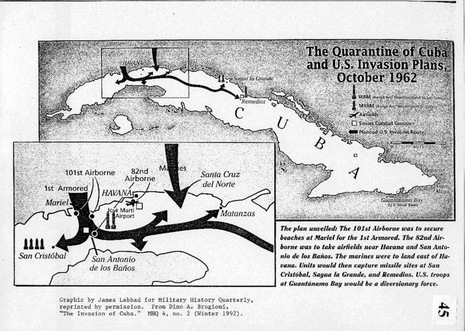 At 1:45 a.m. on October 25, Kennedy responded to Khrushchev's telegram, stating that the U.S. was forced into action after receiving repeated assurances that no offensive missiles were being placed in Cuba, and that when these assurances proved to be false, the deployment "required the responses I have announced... I hope that your government will take necessary action to permit a restoration of the earlier situation." At 7:15 a.m., the USS Essex and USS Gearing attempted to intercept the Bucharest but failed to do so. Fairly certain the tanker did not contain any military material, it was allowed through the blockade. Later that day, at 5:43 p.m., the commander of the blockade effort ordered the USS Kennedy to intercept and board the Lebanese freighter Marcula. This took place the next day, and the Marcula was cleared through the blockade after its cargo was checked. 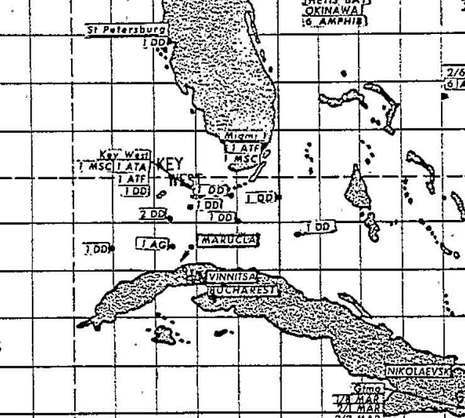 At 5:00 p.m. William Clements announced that the missiles in Cuba were still actively being worked on. This report was later verified by a CIA report that suggested there had been no slow-down at all. 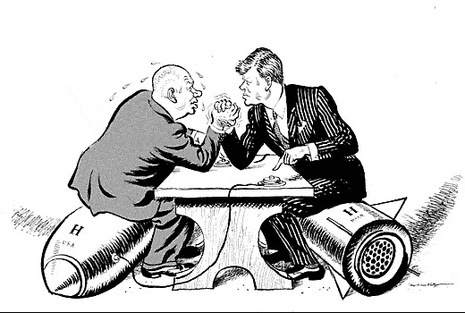 In response, Kennedy issued Security Action Memorandum 199, authorizing the loading of nuclear weapons onto aircraft under the command of SACEUR (which had the duty of carrying out the first air strikes on the Soviet Union).